I initially unveiled Wood Sorrel a few weeks ago when I wrote my review of Mountain Meadow Wool Alpine but I am delighted to report that my it is now available for purchase on Ravelry. 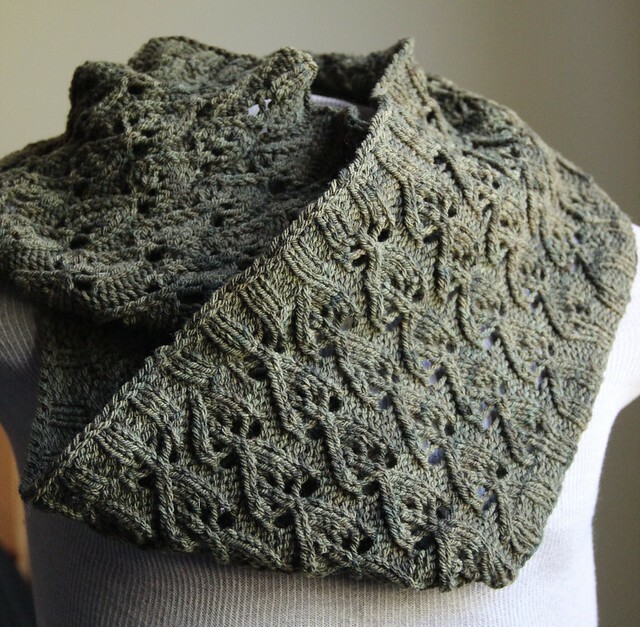 Wood Sorrel is a squishy eternity loop cowl that I was inspired to knit after I found a beautiful leaf chart. 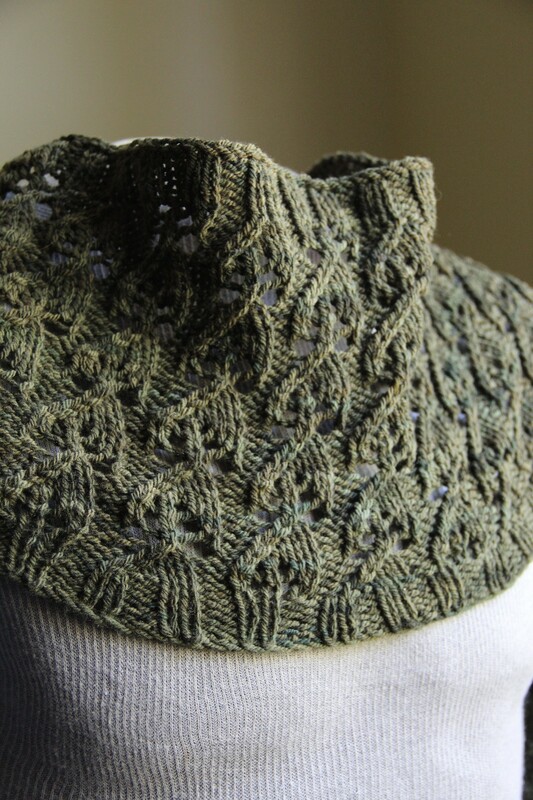 I wanted a simple lace that would show off the hand-dyed yarn, and a style that would be fun to wear. Many thanks to my test knitters and to Laura Chau for technical editing. 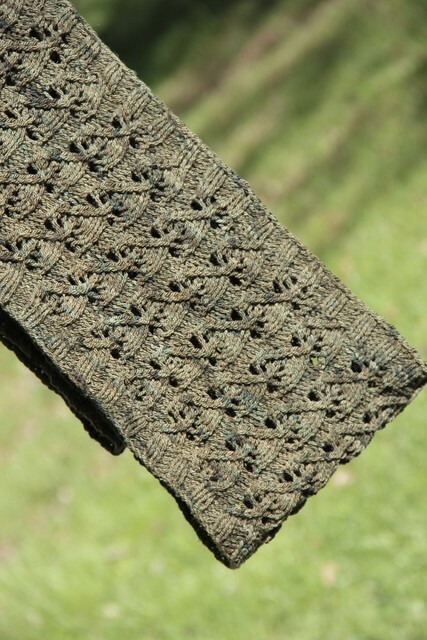 Please check out Wood Sorrel on Ravelry! Thank you so much! I can’t wait to see yours. Previous The Corner of Knit & Tea: Episode 137, Sweaters and hats and socks oh my!